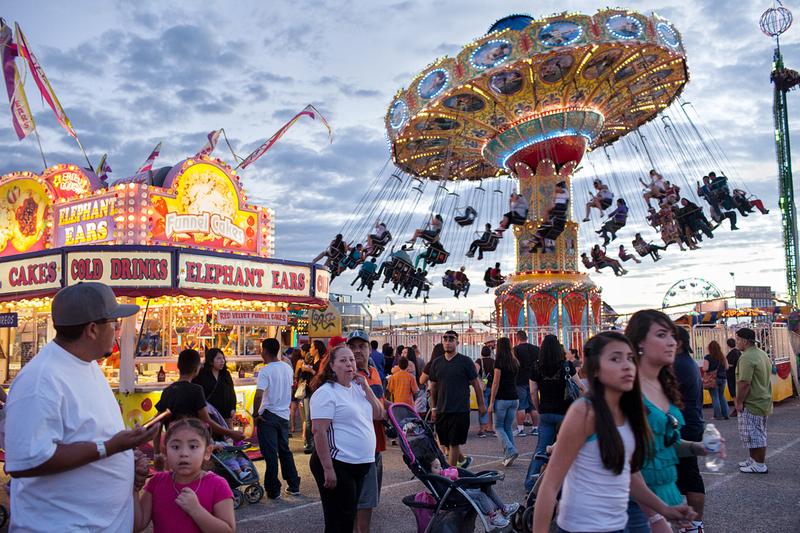 New Mexico state fair. Source: Beate Sass, https://beatesass.wordpress.com/2013/09/21/the-new-mexico-state-fair/. Green chile is undoubtedly a popular product at the New Mexico State Fair. But can another “green” product—medicinal marijuana—be displayed at the state fair? That question now rests with a federal district court. New Mexico allows vendors of food, medical, and other products to display their products in booths at the annual state fair. New Mexico Top Organics—Ultra Health, Inc., a medical cannabis company, sought to display its medical cannabis products at the fair, but New Mexico has a policy disallowing the display of drugs or drug paraphernalia at the fair. In 2016 and 2017, the state prohibited Ultra Health from displaying its products, or images of its products, at the fair. Ultra Health determined that, without images or examples of its products, it could not meaningfully participate in the fair, and it subsequently brought suit against several state fair officials, alleging violations of its free speech rights under the First Amendment. The parties filed cross-motions for summary judgment. In responding to these motions, the court observed that Ultra Health’s speech was protected speech under the First Amendment, and determined that the state fair was a limited public forum wherein the government could regulate in a reasonable, viewpoint neutral manner. But the court determined that there were issues of material fact with respect to both whether the state fair’s prohibition on Ultra Health’s display of marijuana was reasonable and whether it was viewpoint neutral. Accordingly, the court denied summary judgment to both parties. Thus, only time will tell if the Land of Enchantment can bar the display of some enchanting products at its state fair. New Mexico Top Organics—Ultra Health, Inc. v. Kennedy, No. 17-CV-00599-JAP-LF, 2018 WL 1756929 (D.N.M. Apr. 10, 2018).